My last reading in the Bay area before I move out of California & for a good cause! Hope to see you there! Please forward to SF bay folks – Kundi love on a Sunday afternoon! 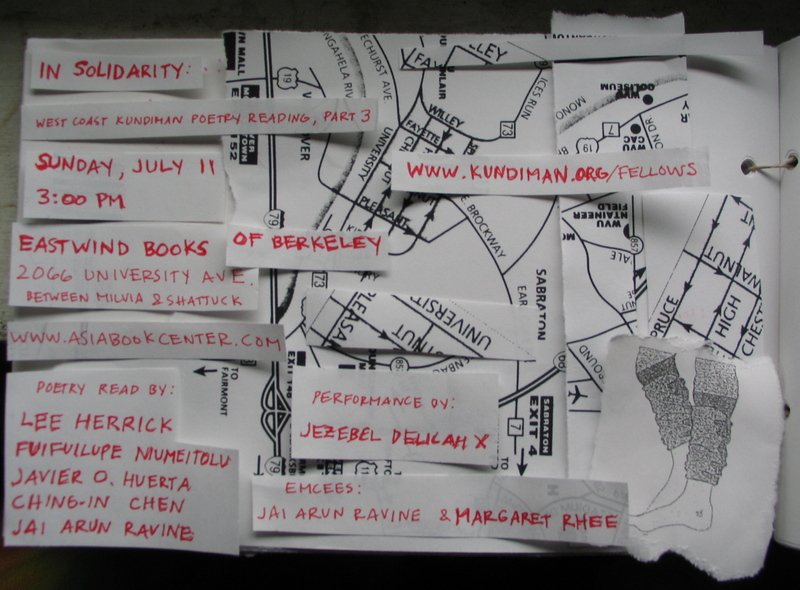 Eastwind Books of Berkeley has been serving the Asian American community since 1982 and welcomes people to attend this wonderful Kundiman event. Books donated by poets, Joseph O. Legaspi, Oliver de la Paz, Ching-In Chen, Lee Herrick, & Truong Tran!!! Give from the Heart and Win Big!!! You are currently browsing the Sunslick Starfish blog archives for July, 2010.